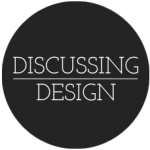 Discussing Design on the SpoolCast | Discussing Design - Paying attention to the details of design critique. Back in April I had the honor of presenting an extended version of the Discussing Design talk as a User Interface Engineering (UIE) Virtual Seminar. It was an awesome experience, and the 90 minute time slot gave us a chance to dig a bit deeper into things that we don’t often get to in the normal 45-ish minute sessions in your average conference. As a follow up, UIE’s Adam Churchill invited Aaron and I to record a podcast to answer some of the questions that came up during the seminar. Check out the podcast on UIE’s blog. And if you’re interested, you can also purchase the virtual seminar itself.